[GUIDE] 3 Awesome Summer Decorating Ideas! Summer has begun and it’s the perfect time to decorate your home after a long tiring spring cleaning! Give your home a splash of color for an updated summer look. 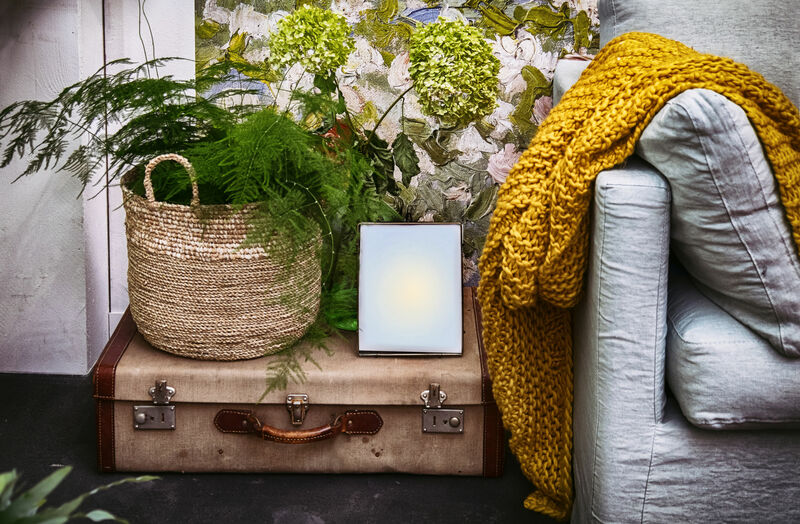 Here are 3 awesome ways to bring that summertime feeling into your home. 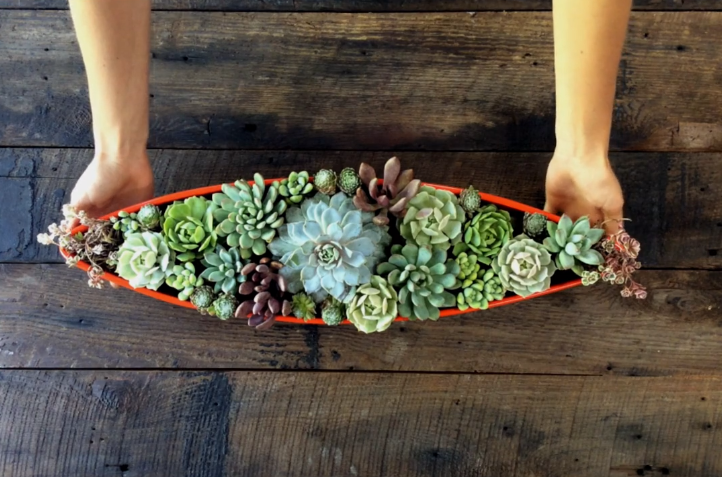 1: Decorate with Succulents: See tutorial here for this stunning succulent centerpiece. Succulents are chic and trendy. Decorate your center table with these fantastic tiny plants that come in different shades of the rainbow. Choose a planter that complements your interior decor, you can choose from white pots or bowls to accentuate their natural vibrant color or a wooden planter for a rustic look. Adding succulents to your center table instantly gives your home a fresh summer look. Here’s an easy diy succulent center piece you can try. Quench your family’s thirst on hot summer days and brighten up a corner by adding a refreshment nook with flavored teas, fruit-flavored lemonades, or infused water to your foyer, kitchen or living room. 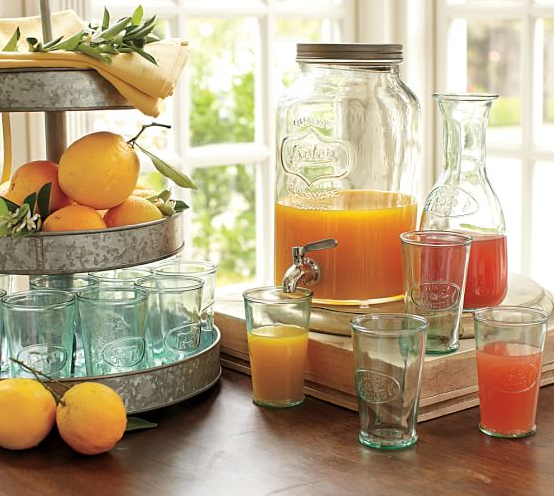 All you need are a clear drink dispenser, mason jars, a bowl of fruits and a spritz of imagination. The combination of the color of the fruit slices and the water moisture coming from the ice-cold drink will sure spell S-U-M-M-E-R for everyone in your home. Here are some refreshing non-alcoholic drinks that’ll add color to a room while keeping your family refreshed! 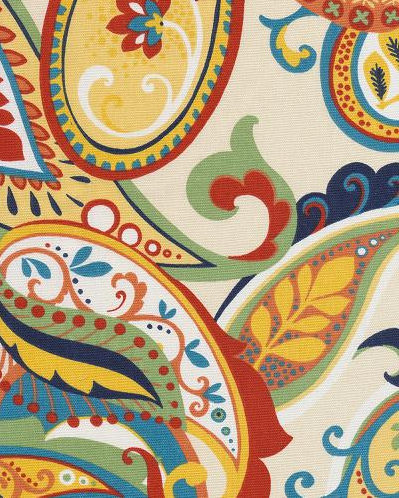 For a more bold and fun summer look, change up your upholstery and accents with bright and colorful prints. 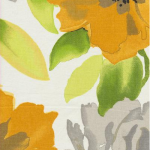 Use flamboyant shades on any of your cushions, curtains, table cloth, place mats, bedding, seat pads, etc. 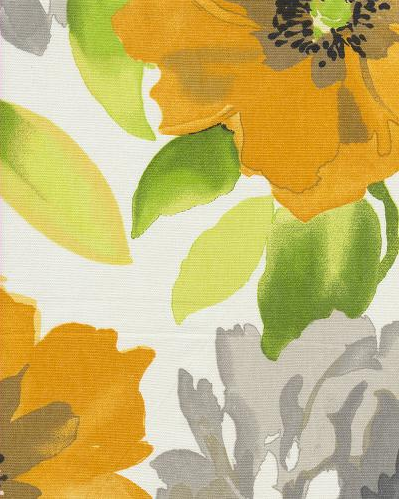 Choose a summer theme: from pastels, citrus, bright reds and hot pinks, it’ll add a pop of summertime flavor. 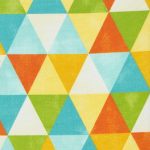 Just remember to minimize accessories if you are going to use bold and bright fabrics, as you don’t want your home to look like a bag of Skittles. 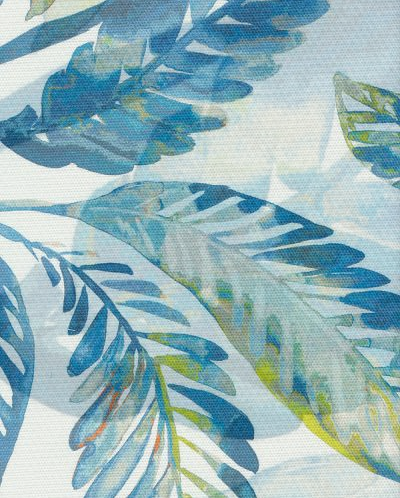 Here are 4 printed cotton fabrics to help you update your home for the summer. 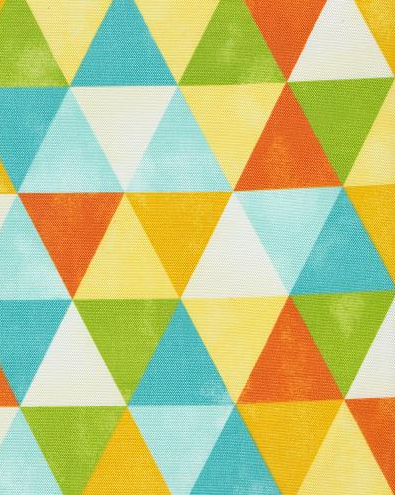 –Whimsy: Be bright and bold with this colorful printed fabric. 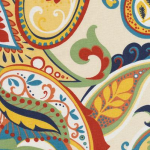 Perfect for table cloths, throw pillows and placemats. 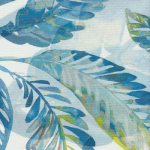 –Creative Flow: This one is perfect for that breezy and beachy theme summer decor. –Macilent: Talking about citrusy colors and flavored drinks, this print is a perfect match. –Womel/Franco: For a bright colored geometric look. Are you ready to give your home these quick and fun update this summer? Tell us your plans in the comments below! Remember to let us here at barrasfabrics.com know how your DIYs went! This entry was posted in DIY, Interior Decoration and tagged home decor DIYs, summer design, summertime fabrics by barrasfabrics. Bookmark the permalink.